The Hunt Ranch is located approximately 5 mile north of Douglas Arizona along Hwy 191, and east of the Douglas international airport. The state Lease is rated at 50 head yearlong, with another 50 head on the deeded land. The Ranch is well watered with three wells, Six 10,000 gallon storage tanks, one 5000 storage tank, and one 40,0000 gallon storage tank. With approximately five miles of pipeline. 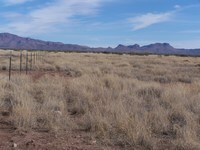 The Ranch is crossed fenced into 6 pastures for the ease of operation and the ability for Rest/Rotation management. 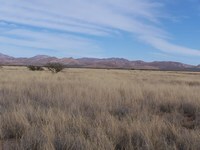 The elevation of the Hunt Ranch is 4000 feet above sea level and consists of desert grass lands, with Tobosa grasses, Grama Grasses, Love Grasses, and Mesquite being the primary species. A wide variety of annuals are present when moisture is present. The Douglas area has a reasonably mild climate, in the winter month’s temperatures average in the mid to upper 60s, and lows typically settle just below freezing. In the summer months highs average between 90-100, with night time low in the mid-60s. Average rainfall is 14 inches with the majority falling in the summer monsoon season. 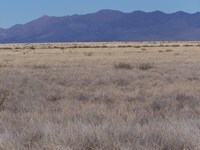 The Hunt Ranch is one of the nicest ranches in southeastern Az, It is easy to operate with great access. All the improvements are in excellent condition, the ranch has been used in conjunction with NI Ranch, and the owners have consistently shipped heavy calves. There are few ranches on the market today that provide the excellent value at this price. Please click here to download (about 5mb) a printable brochure in Adobe Acrobat format. If you get frustrated trying to make this work on your computer, don't hesitate to ask us to mail you a printed and bound brochure instead.